laser and microwave data retrieval systems that operate through the window openings. Two-channel noise generator that supports connection of up to 16 sensors per channel. LGS-404 enables protection through generating broadband vibroacoustic noise interference on the potentially hazardous room structures. Vibroacoustic noise interference is created by the generator and transmitted to the structures through the vibration transducers. The Product also supports installation of an acoustic radiator for protection of closed air spaces (air ducts, wells, etc.). 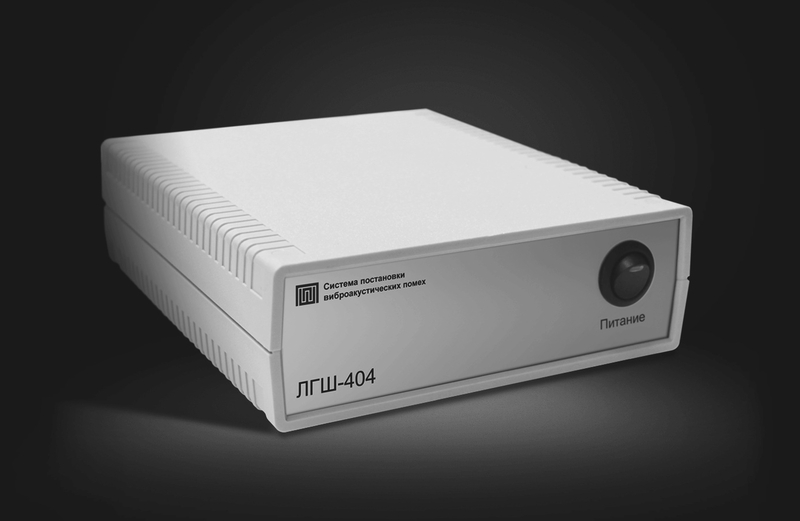 LGS-404s a two-channel noise generator that supports connection of up to 16 sensors per channel. A total of 32 sensors can be connected to the product. The device is used to work with low-Ohm vibroacoustic electromagnetic transducers as terminals. The product can also work with acoustic transducers (dynamic radiators, acoustic systems, etc.). The terminals’ connection pattern depends on the desired protection level and can be represented by the parallel, sequential or combined connection of the required number of transducers.